The custard cream is a biscuit perhaps like no other. It takes the form of a soft creamy centre, flavoured slightly (but in no way convincingly) like custard. This cream is then sandwiched between two layers of sweet biscuit to form the completed custard cream. An ornate design is to be found on each side of the biscuit, with higher-quality versions typically stamping the words CUSTARD CREAM in big letters within the design, joining the Bourbon biscuit and Nice biscuit in the club of “biscuits with their name written on them”. Somebody once came up the truly disastrous idea of making flavoured custard creams – if a somewhat dodgy custard flavour wasn’t up your street, then just imagine adding some artificial orange flavouring on top of that! There’s also a strawberry variant, replacing the custard filling with a horrifically pink strawberry-flavoured cream. 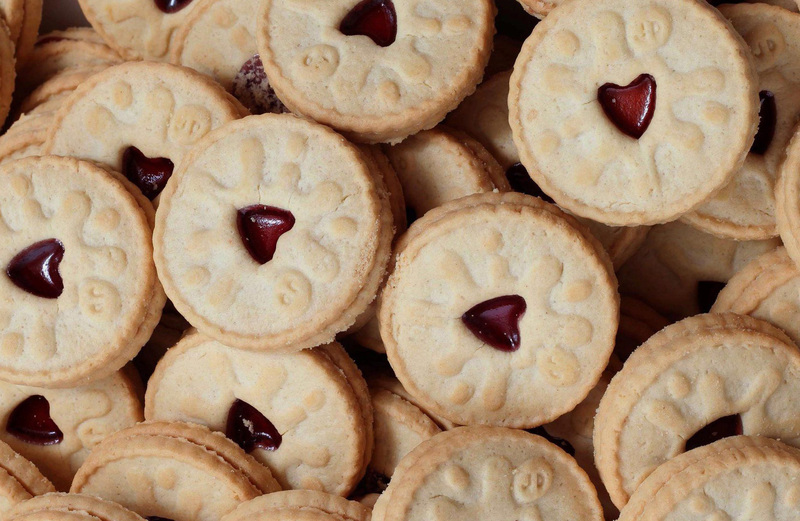 Needless to say, we recommend you stick with the basic custard cream – some things just don’t need to be messed with! Custard creams regularly pop up in discussions about people’s favourite biscuits, and they normally pop up in a variety pack of snacks. Whilst not as decadent as some chocolate covered biscuits they’re usually quick to be eaten as they seem a relatively guilt-free pleasure compared to some other sugar coated biscuits in the packet! 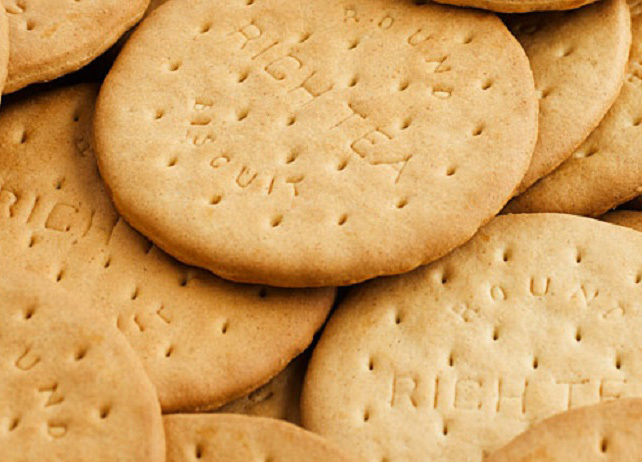 Q: What is the UK’s favourite biscuit? A: The custard cream, according to the Daily Express. The custard cream was invented in Victorian times, and the baroque design is very typical of the Victorian love for all things fancy. The delicate whirls in the mould are said to represent fronds of ferns, although we think that they look more like the swirls in an ironwork gate… either way it helps the brown rectangle stand out in a biscuit barrel. Little is known about who actually invented the biscuit or the year it was first made, although if you do know then please get in touch!